When people hear about the race for AI dominance, they often think that the main competition is between the US and China. The US and China do have most of the largest and most well funded AI companies on the planet, and the pace of funding, company growth, and adoption doesn’t seem to be slowing anytime soon. But many other countries also have a stake in the AI race. 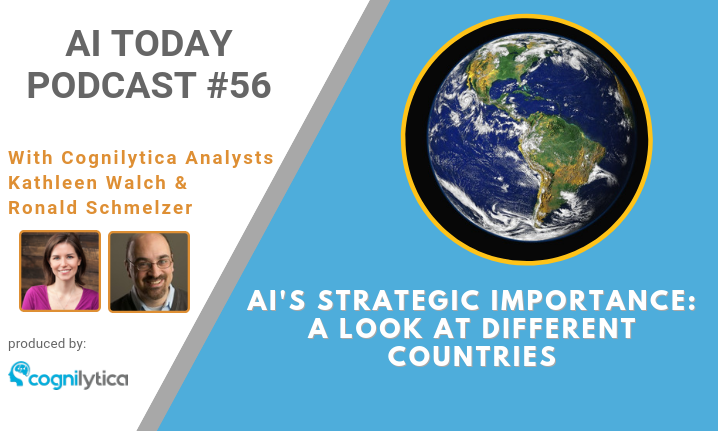 Podcast hosts Kathleen Walch and Ron Schmelzer take a look at some additional countries and see if AI is truly like that of the space race or simply like any other technology trend we’ve seen come and go. Is South Korea Poised To Be A Leader In AI?